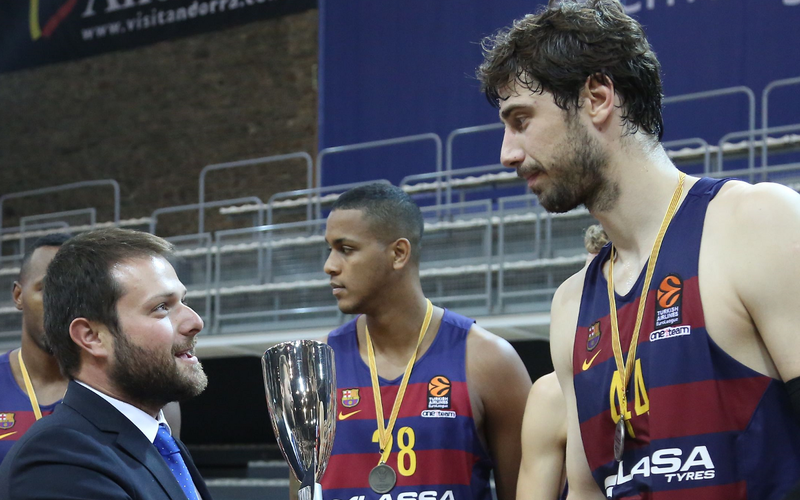 FC Barcelona Lassa earned a clear and convincing victory against ICL Manresa to claim their 20th Catalan League title, and their eighth in successive years. The blaugrana shut Manresa down from the start and raced away to a a 9-25 lead in the opening period. The second quarter brought more of the same and Barça stretched the lead further. Led by Claver, Doellman and Vezenkov Barça finished the second half with a clear advantage of 26-48. In the third quarter, Bartzokas' men took their foot off the gas a little whilst still maintaining a commanding lead. Manresa fought their way back into the game but never looked like a threat and the victory was never in doubt. The last quarter saw lots of substitutions with the game decided and an eye on the first LigaACB league match of the season against none other than Manresa (12.30pm CET). Barça dominated throughout and the absences through injury of Koponen, Lawal,Ribas,Rice and Navarro were convincingly overcome. Bring on the LigaACB!